So it’s finally happened, SEO Search has been pushed out of Google’s search results by paid search. Its just another nail in the SEO coffin as they roll out their newest extension – AdWords Image Extensions. AdWords has begun to roll out its newest extension in the Search Network with a reported 1 in 6 searches showing these new Image Extensions, but it is expected to take a few more before it becomes commonplace. The benefit for advertisers is obvious, but more questions can be asked as to what images content will be allowed and what will be shunned. Am I the only one thinking of panoramic images and awesome CTA’s? AdWords has said that they will be reviewing images (automatically or by eye? ), but they are actively encouraging submissions to their Image Extensions Beta via this form. However the question still remains, with laptops 1333 x 768px resolution (being the dominant resolution), the only lines of organic traffic you can see is the headline and the URL of the number 1 spot. 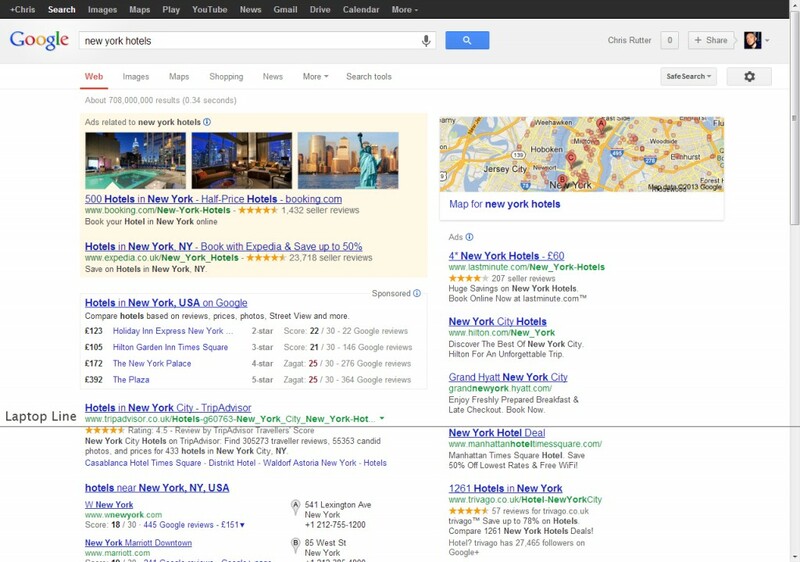 So will this, once again, push down the organic results in Google?